ID: 2086 ~ Source: BU Records: NoZe Brotherhood, Accession #BU/384, Box 1, Folder 8, The Texas Collection, Baylor University. The NoZe Brothers often tease “infidels,” knowing everyone is curious about the inside scoop on the Brotherhood. 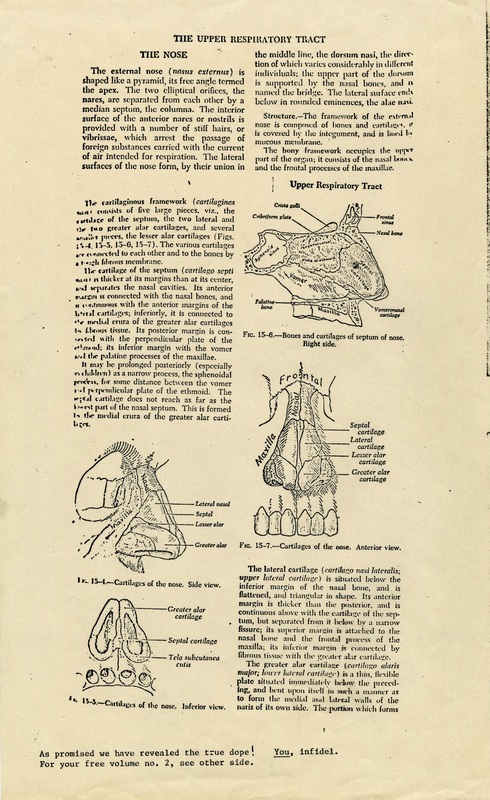 In 1976 they put an ad in The Lariat for anyone to purchase a “complete history of the Noze” to discover “what really goes on inside the Noze.” When the product came out, it was an encyclopedia-like article about the anatomy and physiology of the human nose.